The Brighton Sauna has always been on the cutting edge of HIV testing on its premises. In 2011 they became one of the first gay saunas to offer rapid HIV testing on-site. Now they have gone a step further. 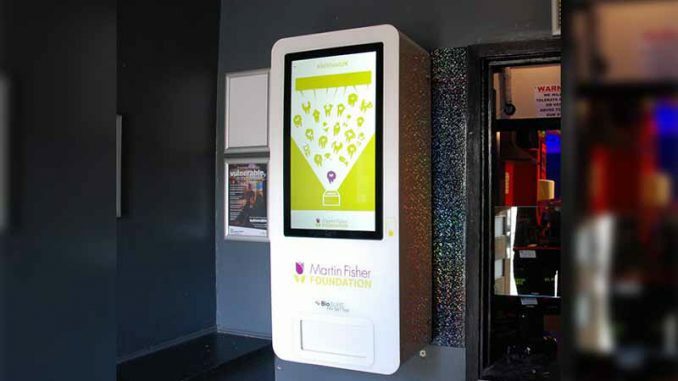 Offering up a vending machine that will test your status on the spot. Customers enter personal information into the machine, an SMS confirmation code sent to the customer’s phone, and the machine spits out a kit. It gives the user an option to either use the kit at home or right then and there at the gay sauna. Staff at the sauna have been trained to offer support and advice.